Have a question, but don't see the answer, send us a message! What does the word doula even mean? The word doula is a greek word that literally means "a woman who serves." In the birth community, it's applicable meaning is professional, educated support. There are several types of doulas in relation to birth including antepartum, birth and postpartum. Tulsa Family Doulas provides doula support in each of these areas and we are thrilled to have several doulas available that we can match to meet your individual needs. There is so much evidence that shows that doulas are beneficial to the families that hire them. Tulsa Family Doulas has a unique perspective on doula support. Our goal with every client we serve is to provide collaborative care. We respect the team of medical professionals you have chosen and will work with you to help you achieve your ideal birth and parenting experience. We will never impose our personal philosophies of labor or parenting on you. We help you achieve your goals. Period. Want to hear some other good news about doulas? There is no other person with you in the delivery room that lowers your risk of a C-section. Your birth doula comes to you when you are active in labor and stays with you until after you have delivered your baby. We are a continuous, encouraging presence that comes trained and prepared to help you and your family have the best birth and postpartum experience possible. Your postpartum doula offers exceptional care to empower you as a parent and transform the overwhelming time with a newborn into an empowering time filled with confidence and support. Her presence can also encourage you as you establish a solid and lasting nursing relationship. She is even available for short-term live-in care, overnight care and daytime support to help reduce the bone-crushing fatigue that can sometimes cloud those first few months. Can you back up those intriguing statements with facts? "The continuous support of a doula at your birth is one of the most effective tools to improve labor and delivery outcomes. A Cochrane meta-analysis of 12 trials and more than 15,000 women demonstrated that the presence of continuous one-on-one support during labor and delivery was associated with improved patient satisfaction and a statistically significant reduction in the rate of cesarean delivery. Given that there are no associated measurable harms, this resource is probably underutilized." Higher satisfaction with your birth experience. No. A doula is not a medical professional. Doulas do not take the place of any doctor, nurse or midwife. We work for you. We are trained in supporting the physical, educational and emotional needs of the laboring woman and new parent after the baby is born. The training to become a doula, and the certification process that every one of our doulas has gone through, entails an incredible understanding of birth and the postpartum period. We are an amazing resource for our clients. We are your personal coach before, during and after delivery. Do I need a doula for a hospital birth? Absolutely. When you walk into a hospital, there are policies and procedures that are a part of that hospital's routine. If those policies don't match your ideal birth, then it takes support to be able to communicate your wishes during an emotionally and physically vulnerable time. Our doulas will never speak for you when communicating with your care providers, but can help you understand your options. We also answer your questions and help navigate a new path if plans start to change. We encourage and enhance your confidence and empowerment in communication with your care providers. Your doctor and nurse are also quite busy and aren't able to stand by your side while you labor. We do! You can rest assured knowing our presence will have you continually supported. What about the nurses at the hospital? Don't they do what a doula does? We don't take the place of the nurses and we have very different jobs. The labor and delivery nurses have responsibilities that cover the health and safety of you and your baby during delivery. They chose to be in that field because they love it! Tulsa Family Doula's agency owner, Sarh Coffin, became a doula in 2009 because of her personal experience with an incredibly supportive nurse. But, most of the time, the nurses have more than one patient for whom they are responsible, and will need to keep up with charting and other responsibilities that take them away from being constantly at your bedside. Your doula's only responsibility is you and your experience. Tulsa Family Doulas has over 25 years of combined experience and are met with smiles and are cheerfully welcomed by hospital staff. We have worked hard and earned their respect through how we interact with our clients and work with the medical team. We respect that medical professionals are there for healthy mama, healthy baby. Tulsa Family Doulas are there for your healthy mind and healthy bond. Do I need a doula for a home birth? Absolutely. The same is true for a hospital or home birth. We are a constant support person that comes to you in active labor and we stay until the baby is born and you are all settled. We even help you get nursing established. We understand the atmosphere of a home birth and work with your family members and midwife to give you the best experience possible. The midwifery model of care provides a more personal style of care prenatally and in birth, but their priority is still assuring yours and baby's safety during labor and delivery. Your doula is attuned to your emotional and physical needs and complements your care from a midwife beautifully. We provide the same hands-on physical support and are still an amazing resource for your spouse and family members. Doulas understand natural childbirth and the commitment of home birth and are a valuable resource for you. What are the qualifications to be a doula? There are many different certifying bodies that are available for doulas. There are no requirements to have a medical background as doulas do not provide medical support. 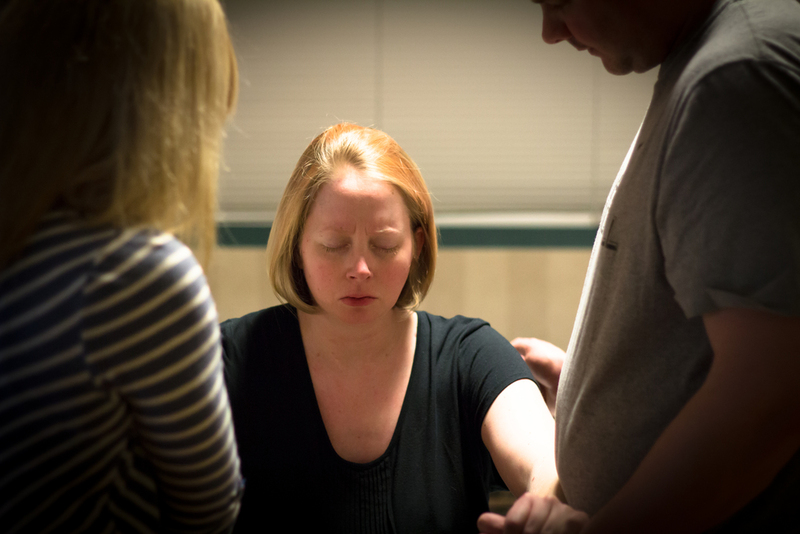 Tulsa Family Doulas values exceptional training and the follow-through that is required to become a certified doula. Each of our doulas has received training from a reputable organization and is certified. We have a personal code of ethics each of our doulas commit to when joining the agency. Our mentorship program requires shadowing the seasoned doulas within the agency so that we have a unified presence of collaborative care and you know that your doula has applicable skills from the very first birth she attends on her own. What are questions to ask a doula? We encourage you to ask your doula about her training, certification status and how she envisions supporting you. You should ask her why she chose to get into birth work. Is she an activist that wants to change the medical community and use your birth to accomplish this? Or does she listen with rapt attention to what your goals are and talk with you about how to achieve YOUR goals for birth? Does she do this work to get a baby fix? Is she in this business to watch birth? Or is she 100% attuned to helping fulfill your dreams and desires and breathe confidence into you? Will your doula support you if you choose an epidural or other interventions? Does she have a good relationship with your care provider? Has she worked at your place of birth before? What does your doula think about how you want to parent? Does she push her philosophy of standard newborn procedures or help encourage you to find your own priorities? How do you feel when you are with her? Does she make you feel confident in your abilities? Do you want to keep talking with her? Do you peaceful in her presence? Can you envision staring into her eyes and hearing her voice speak to you in your most vulnerable moments? Set up a private consultation with one of our doulas today and try out your new doula interviewing skills. You will be impressed with what you find. My husband and my mom will be with me. Do I need a doula? Oh yes. Your family provides you with invaluable support, and we will never take their place beside you. Every one of your family members is experiencing this birth with you. We free up your family to be fully present and completely dive into this memorable event with you. We understand that your partner has just as much need for emotional and physical support in birth as you do. We also give your family breaks. The experience of supporting you in birth can be emotionally charged, and they may find that stepping outside or grabbing a bite to eat is exactly what they need. And they can do that knowing you won't be left alone. We help your husband remember what they learned in class. Sitting in a classroom and actually living out the experience are two totally different things. We know how much his touch means to you, and your doula's presence gives him confidence in his ability to support you at whatever level that may be. Hiring a doula also gives you two people taking turns doing a double hip squeeze. That is twice as nice! Amy Gilliland,PhD stated that “When served by a doula, moms are satisfied by their partner’s support at all levels of engagement.” After reading that, what dad wouldn't want a doula with him? Is a natural childbirth class enough? Think of it this way. You and your partner are going to play in the Super Bowl 9 months from now. You have read about how to play and win, you have practiced your game moves, and even sat in with a coach for a few weeks to learn about the Super Bowl and what it might look like on game day. You feel confident and prepared to achieve your goal of natural childbirth. Would you then go out on the field alone and try to remember everything you learned earlier? Nope, you would bring your coach with you. Bring your doula with you to your birth. We truly believe that doulas provide a tangible and valuable resource, and that skill should be honored and respectfully compensated. To seek out a doula that is under-valuing her services and giving you a bargain for birth support, does a disservice to herself and the profession. It promotes the concept that the skills we provide are not worthy or sustainable for a long-term career. Payment plans and payment options are always available. We never want cost to be a reason that someone does not get the services they desire. All you need to do is ask! Curious about actual fees? You can learn all about them here. Tulsa Family Doulas provide an exceptional service and are a necessary luxury. Pay your doula well for she is incredibly invested in you. We are with you every step of the way as soon as you are expecting until you settle into parenthood. We walk this path with you feeding you with encouragement and confidence. Contact us so we can let you know what to do next. Absolutely, unequivocally yes. Read some excerpts and watch a couple of videos and hear for yourself what some of our clients have said about us. Better yet, ask to speak to a couple of them. We are more than happy to provide references.